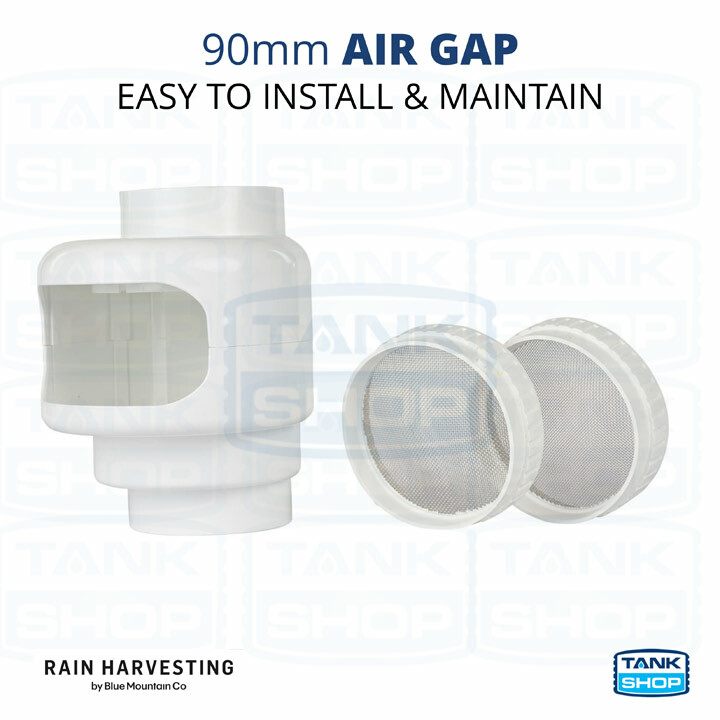 The Air Gap (TAAG01) is an essential element in any Rain Harvesting system where your overflows are plumbed into stormwater. Air gaps prevent stormwater backflow from entering your rainwater tank and lowering your water quality. They also create a visual inspection point for detecting any overflow issues and stop mosquitoes and other vermin from entering your rainwater tank. How does the Air Gap prevent backflow? In an extreme rainfall event there is the possiblity that if your overflow is plumbed into your stormwater, water could potentially flow back up your stormwater overflow pipe and into your rainwater tank. If your local stormwater infrastructure (beyond your property boundary) becomes blocked, the system can “charge”, causing dirty stormwater to surge back through your stormwater pipework. If your rainwater tank overflow is connected to stormwater, this “charged” stormwater can backup into the tank. If the pipes connected to the overflow of the rainwater tank are crushed, excess water from any pipework connected to the same system could flow back towards the tank, taking with them whatever debris is in the system. An air gap prevents this problem by creating a physical gap between your rainwater tank and stormwater lines. 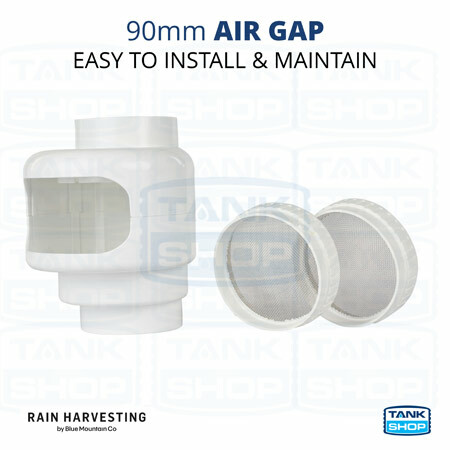 With an air gap, overflowing stormwater is prevented from backing up into your tank. Instead, it will spill out through the front of your air gap.